The Nature Index, 2017, of the Innovation supplement published today, placed the Weizmann Institute of Science in sixth place in an international ranking of the world’s top 200 research institutions. The Index ranked the institutions according to the impact academic research is having on innovation by examining how research articles are cited in third party patents. Their rationale: By looking at patents owned by third parties – informed by and citing academic work – rather than those held by institutions themselves, the influence of research on the development of products and services is exposed. 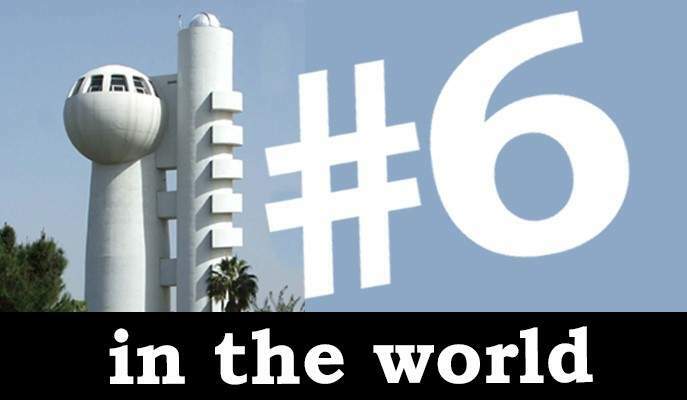 The Weizmann Institute of Science in Israel is the only non-US institution in the top ten. It follows such heavyweights as The Scripps Research Institute in San Diego, Rockefeller University in New York and the Massachusetts Institute of Technology in Boston. 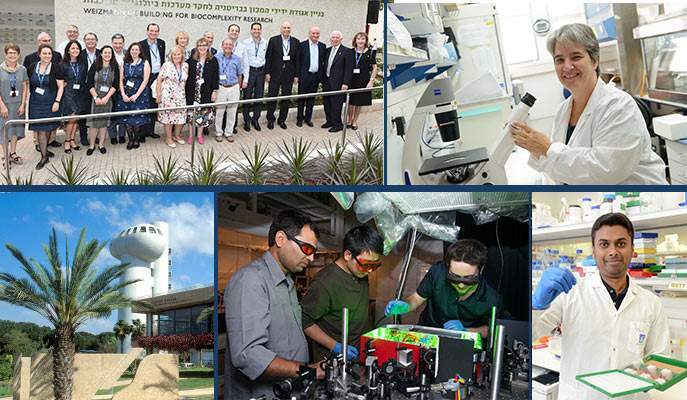 Prof Daniel Zajfman, president of the Weizmann Institute of Science said: “Our high place in this index reflects our guiding philosophy, which says that we recruit scientists who are among the best in the world and let them follow their curiosity. That is what leads, in the end to innovative and surprising new applications that shape the future.” The Nature index also revealed that the Weizmann Institute of Science not only contributes to third-party patent applications, but ranks fifth in applications for patents of its own. This ranking is normalized to the breadth of the scientific activity of the institute. This is the first time that the Nature Index data has been normalized against the total research output of an institution in the natural sciences, as indicated by the number of research articles an institution has published in Clarivate Analytics’ Web of Science. This provides a measure for comparing institutions’ output in the Index relative to their research capacity, which can then be compared to the normalized. First launched in November 2014, the Nature Index database tracks the author affiliations of research articles published in a group of 68 high-quality natural science journals, which have been selected by independent panels of active scientists. Nature (founded in 1869) is one of the leading, international weekly journal of science. Nature Research also publishes a range of Nature branded subscription journals, the leading open access multidisciplinary journal Nature Communications, other open access journals including Scientific Reports, and a range of Nature Partner Journals published in partnership with institutions and societies. Together, these journals publish some of the world's most significant scientific discoveries. The Lens is a free, open and secure global facility to make the innovation system more transparent, efficient, fair and inclusive. The Lens is run by Lens.org a US-registered benefit corporation owned by founders Cambia (a global non-profit social enterprise) and QUT (Queensland University of Technology). The Lens is dedicated to ‘Solving the Problem of Problem SolvingTM. In collaboration with global non-profit and public institutions, The Lens serves nearly all of the world’s patents as free and open digital public goods integrated and linked with scholarly and technical literature along with regulatory, legal and business data. The Lens creates applications to map the networks of influence of scholarship on enterprise (In4M and PatCite) and to understand biological sequence patenting (PatSeq). The Lens allows documents, collections, and analyses to be shared, annotated, and embedded to enable Innovation Cartography: the open mapping of the science and technology innovation ecosystem to broaden participation in equitable problem solving. Clarivate™ Analytics accelerates the pace of innovation by providing trusted insights and analytics to customers around the world, enabling them to discover, protect and commercialize new ideas faster. Formerly the Intellectual Property and Science business of Thomson Reuters, Clarivate Analytics owns and operate a collection of leading subscription-based businesses focused on scientific and academic research, patent analytics and regulatory standards, pharmaceutical and biotech intelligence, trademark protection, domain brand protection and intellectual property management. Clarivate™ Analytics is now an independent company with over 4,000 employees, operating in more than 100 countries and owns well-known brands that include Web of Science™, Cortellis™, Derwent, CompuMark™, MarkMonitor® and Techstreet™, among others. For more information, please visit clarivate.com.